Having said farewell to Cambodia I crossed into Thailand at the Hat Lek border point. I’d gotten myself a multi entry visa before i’d left the UK (valid up to six months, paid for 2 entries) so it was an easy transition. You can get visa on arrival but i’d decided to get this one in advance because it gives 60 days in the country meaning I can travel nice and slow, taking my time to explore and chill out without the hassle of visa extension! I hopped in the mini van service and headed straight to Trat to spend the night. There’s really not much to do in Trat, I wandered around the city a fair bit and just got bored. Next morning I headed for Koh Chang, which meant a tuk tuk ride then a ferry across to the island. 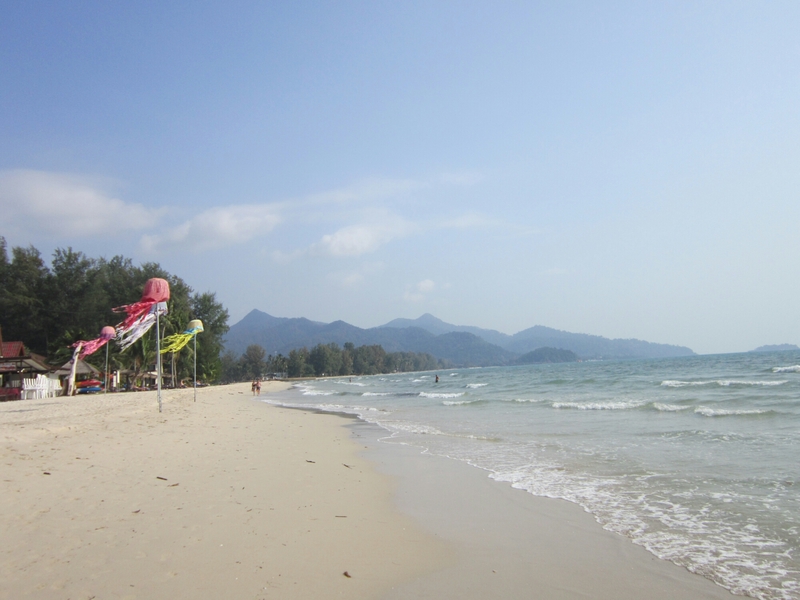 Koh Chang is Thailand’s second largest island (after Phuket) and there’s a variety of beaches to choose from. I elected Klong Prao beach as it’s a quieter one and I am very happy I did! I stayed at Pajama’s hostel and I have to say it was fantastic, really contributed a huge part to my enjoyment of the island! Dorms were 550 baht a night but that included a real good buffet breakfast. Accommodation can be pretty expensive on the island and I think this hostel is fairly priced. It’s located just off the beach and it has a pool too. It’s a really relaxed atmosphere and the staff are great. First night I took it easy, I took a walk along the beach and back, watched the sunset over the sea, treated myself to some Indian food and then had a couple of Chang beers at the hostel with my room mates Maarten (Dutch) and Steffan (Austrian). Second day was spent chilling out with a book and music. Me and my aforementioned room mates got to know a whole bunch of others in the hostel and that evening 11 of us headed to Lonely Beach, which is the party spot on the island. We had a nice mix of people, our group including Germans, Swiss and Koreans as well as English, Dutch and Austrian. One of the Thai girls from the hostel came along later too. There was buckets (if your unfamiliar, they are basically a bucket full of cheap alcohol that you share), bad music, many drunk backpackers and ladyboys, so everything you’d expect from a Thai island party bar. When we got back to the hostel at around 2:30am a whole bunch of us went for a nighttime dip in the sea which was pretty cool. Third day was the expected hangover day. I just took it easy all day, not much was achieved but it was worth it as the previous night had been a lot of fun! 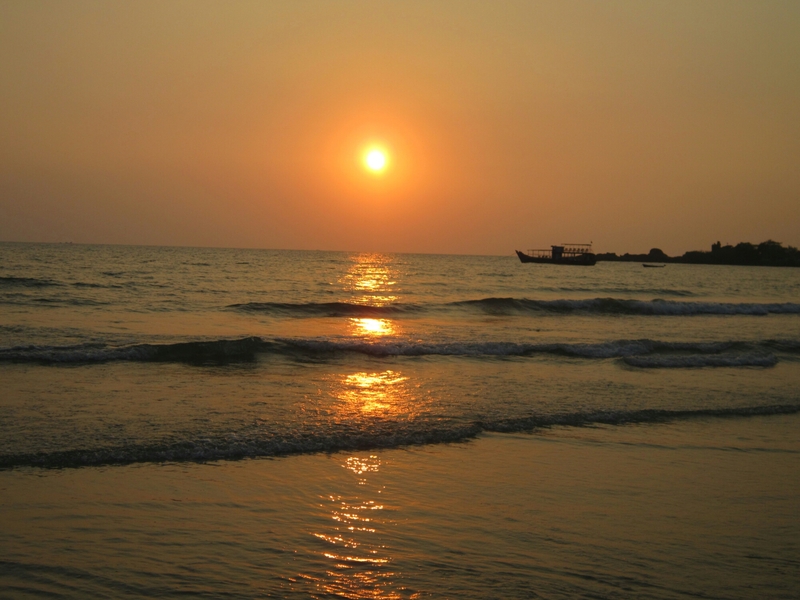 I really enjoyed Koh Chang, felt like my travel mojo was imbalanced after Cambodia and this island set it right! A nice welcome back to Thailand! Next up, back to Bangkok!